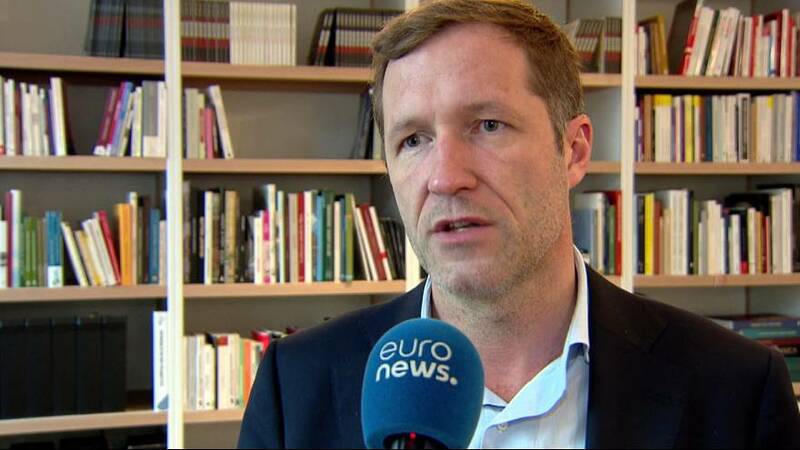 Paul Magnette leads the regional government in Wallonia, the French-speaking region of Belgium, where the parliament has refused to provide its backing for the federal government’s move to approve the EU-Canada free trade deal. The best would be to reopen the negotiations with Canada. A region beset by high levels of unemployment, workers have recently been feeling the pinch after US machinery maker Caterpillar announced plans to shutter its facilities near Charleroi. Euronews’ Brussels correspondent Gregoire Lory spoke to Paul Magnette and asked him whether he was ready to back the deal that supporters say could create more jobs in Europe. Gregoire Lory, Euronews: Are you going to give your green light to the signing of CETA as the EU is asking ? Paul Magnette, Wallonia premier: I clearly said that I have to follow benchmarks that were set by my parliament and that I clearly defined to the European commission one year ago. It turns out that the Parliament of Wallonia has the same powers than all the national parliaments in the EU and, thus, if we don’t put down our signature. If we don’t ratify the Treaty, it will never come to fruition. That is why I always said that I was of course in favour of a treaty with Canada, a well developed treaty. But we still expect guarantees on the respect of social, environmental standards, in terms of human rights, consumers’protection. Thus, I am still waiting to see which text the Commission could still come up with. Euronews: Is it a clear no from you or are you still ready to negotiate ? Paul Magnette: I kept saying that this is not a point blank No, it is not a veto. I told (EU Trade) Commissionner (Cecilia) Malmström what our remaining difficulties were. Last Monday the Commission submitted an additional text that we examined. I submitted that to the Parliament of Wallonia. I told my Parliament what the breakthroughs were. I wanted to welcome those breakthroughs as well as the constructive work achieved. But I did add which shortfalls still remain, in terms of protecting our agriculture, in terms of arbitration rules or techniques and also what to do to make sure that only truly Canada-based companies, with real business activities in Canada, could use the treaty, how to avoid that it becomes a trojan horse for multinationals from other countries. Euronews: Are you ready to reopen all the negotiations with Canada ? Euronews: What about playing the part of one small village of Gauls that still holds out against the pressure of EU and Canada ? Paul Magnette: I don’t feel isolated at all, as the numerous contacts I just had with my counterparts from other countries show that our concerns are widely shared. One always has to be the first to come out in the open and make the others happy. It is the traditional game of diplomacy. But I know that the views I defend are shared by other European countries and are widely shared by the European civil society.